What makes a good theme? What things should you look for before buying a theme? Learn how to pick a WordPress theme like a Pro! Avoid the common pitfalls of buying wordpress themes. Plus, learn what basic plugins we recommend you install. 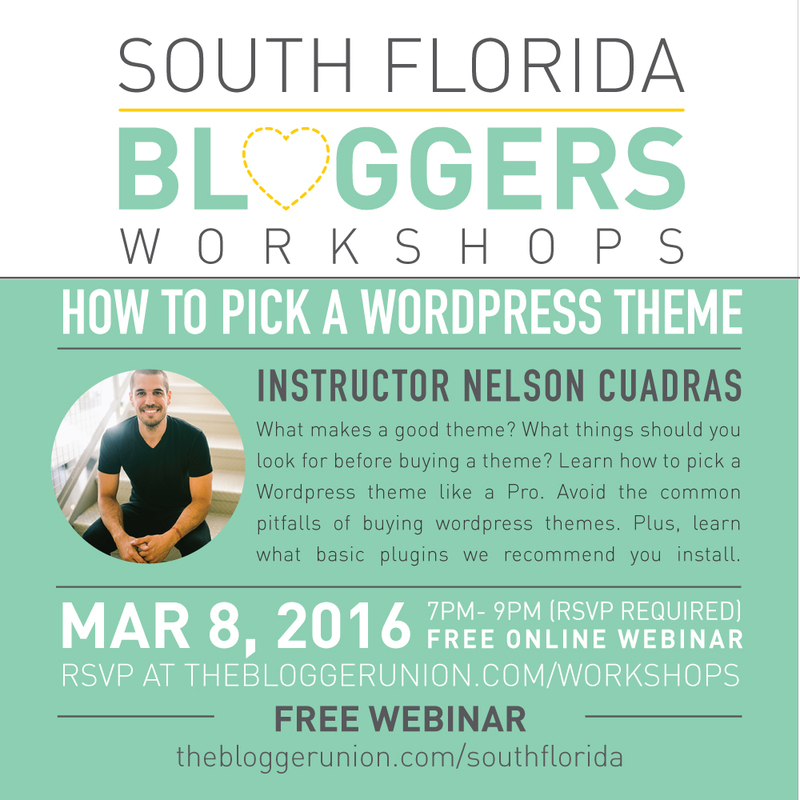 Nelson will walk you through the process of picking the best theme for your site. Whether you are building your first blog or you have an existing site, this webinar will give you the knowledge to buy the best theme for your website. You no longer have to feel hesitant about your theme. All your burning questions are answered during this free webinar. Nelson Cuadras is a project manager and WordPress consultant with over 5 years of experience in management and development. His work ranges from freelancing to junior web developer at a tech startup in NYC. He is versed in working with clients as well as developers and is skilled in taking technical concepts and making them easily understood for those who are non-technical. He currently works as a project manager for a web development company in Miami named Lucid Digital. He also continues to freelance and provide WordPress consulting through his company, PressGo. You can learn more about his WordPress coaching, development, and maintenance services at PressGo.io.